In Illinois, traffic violations can include everything from running a red light to driving under the influence. More than three traffic violations in a year can lead to temporary license suspension. As the number of violations increases, the penalties become significantly more severe to include license revocation. When confronted with multiple traffic violations, consulting a criminal or DUI lawyer in Peoria, IL is a high priority. At Brave Law Center, P.C., we help individuals recover from DUI charges and traffic violation penalties. First offense – With traffic violations, a first time offense will generally incur a reduced penalty. For DUI charges, swift legal action after a charge is the best option. 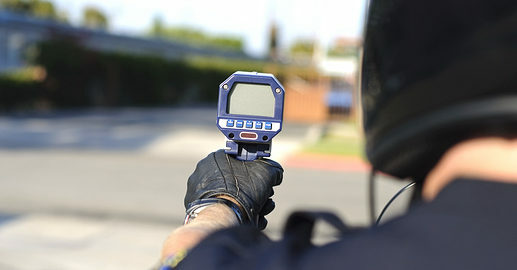 Repeat offenses – After multiple traffic violations or DUI charges, the penalties worsen. Many clients have trusted attorney Jason B. Netzley, an experienced DUI lawyer in Peoria, IL, to fully explore every legal option. Traffic violations and DUI charges can lead to immobilizing penalties, such as a revoked license or jail time. If you’re in need of help with a traffic violation or DUI charge, seek the help of a Brave Law Center, P.C. criminal attorney in Peoria, IL for reliable legal counsel. With a fast, free consultation, we’ll provide the information needed to put traffic-related charges behind you. Contact Brave Law Center, P.C. today.